As people reach their later days, it is normal for them to lose their ability to make rational decisions. It is not uncommon to see the onset of problems such as Dementia and Alzheimer’s in elderly individuals. Because of these problems such as the risk of running into accidents and forgetting to take their medication at the right time are relatively common. Although this change can be a heartbreaking process for loved ones, it is important to make sure that proper care is available to the elderly parents every minute. It is not recommended to let such individuals live alone, and even though it seems like an easy task to take care of them in this state, it is not. A majority of the elderly individuals refuse to become dependent on their children for care and support and wish to live independently. In such cases, opting for guardianship is the best way to ensure proper assistance and care for the elderly. Under guardianship, the court will allow one individual or two in co-guardianship the right to handle all personal, financial, and legal matters for the elderly. In co-guardianship, both the guardians are expected to work together towards all the matters, and there should thus be a sharing of opinions and decisions at all times. Many people believe that seeking guardianship officially and going to court for such matters is unnecessary and, could be done without being labeled as a ‘guardian.’ However, the solution to many of the problems lies in using the guardianship route. Without having one or two people appointed as guardians, there is a possibility that the children who have been taking care of the elderly for a long time stop taking responsibility one day. This will create issues for all the family members and will require someone else to make a massive change to their lifestyle to care for their parent(s). Financial abuse of the elderly is very common, and to avoid the occurrence of such unfortunate incidents; it is important that there is a legally appointed guardian who will be answerable to court if any irresponsible decisions appear on behalf of the elderly. Any authority such as the state or local agency. Once the petition goes to the court, it will first find out whether the presence of a guardian is compulsory in the particular case or not. For this, the elderly individual needs to lack the ability to make rational decisions and to take care of themselves in an effective manner. Once there is a final decision on this, the court will also take detailed and active measures to make sure whether or not the person applying for guardianship is fit for the role. It is important because the elderly individual will end up losing some of the rights once there is a guardian. Thus, the person that families are appointing as the guardian needs to be someone who is trustworthy and has the interest of the elderly in their mind. The immediate family members of the elderly have a high preference, but if they are found to be inept or unwilling, the court may also appoint a public guardian. The court will also need you to present the plan that you have decided on related to the care of the elderly. If the court agrees at the end that the person applying for guardianship is suitable for the responsibility, they receive the guardianship rights. Owing to the nature of this role, it is preferred by many families to opt for co-guardianship instead of the traditional guardian role of one individual. This avoids the occurrence of issues that may happen as a result of the control being with one person only. Co-guardians are required to consult with each other and inform each other of the changes that they think are necessary for the well-being of the elderly. This results in more effective decisions. Also, because two people are involved, the family members feel more content with the decisions being made and keeping the best interests of the elderly is more likely in the case of co-guardianship rather than the traditional one guardian role. 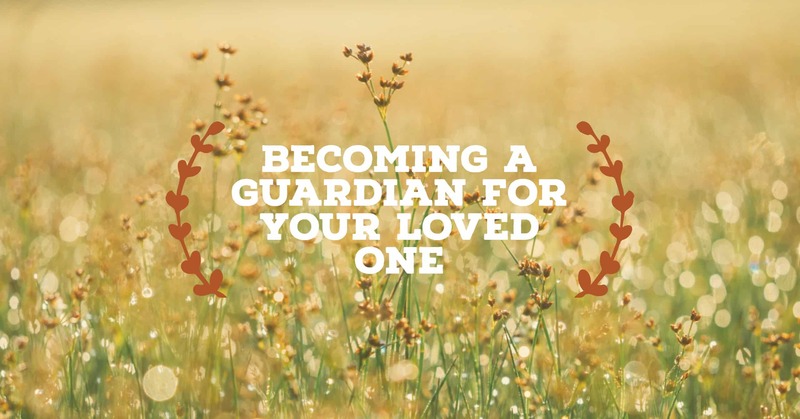 Guardians themselves may also opt for co-guardianship instead of being the only guardian since it relieves the pressure off of them significantly. Some people might not want to be held responsible for the decisions that they make for the elderly individual and would, therefore, ask someone else to be appointed as a guardian with them through co-guardianship. Not only is the process of applying for guardianship a complex one but your responsibilities and duties will also witness a considerable change once you take up the role of a guardian or a co-guardian. Thus, it is recommended for people to consider a few things before making this decision. Taking up this role might significantly affect the relationship that you have with the elderly individual. It happens because, in most of the cases, the elderly individuals do not look favorably over the help and support that they get from the Guardian. Instead, they seem them as being controlling and as someone who is taking away their independence from them. Thus, before you take up this role, make sure you are ready for resentment and a possible strain on the relationship. There will be times when you will be expected to make some tough choices. Even though your elderly parent or relative might not agree with a particular medical procedure or a decision you should know that your responsibility is to think in the best interests of them. Also, it is not necessary that each time you will be presented with obvious answers. There will be times when you will not have a definite answer for the problem, and you might have to rely on your wisdom and take a tough decision. It has been regularly seen that if you are the sole guardian, your decisions might be deemed unnecessary and even careless at times from your siblings or other relatives. In such cases, you need to remind yourself that you are doing your best and you should not fall into the pattern of feeling guilty about your decisions. In case of co-guardianship, if the other guardian is your sibling or someone close you should be prepared to see a complete change in that relationship. This is because since co-guardians are expected to communicate everything to each other and are usually required to be on the same page, it is not entirely possible. Having disagreements and differences of opinions is fairly common in such cases and thus should be expected before you take on the role. The whole process of applying for co-guardianship is a daunting one. Not only is it physically draining but also emotionally since you have to see your elderly loved one going through such a difficult time. However, you need to keep in mind that whatever decisions you make are with the right intention and are made keeping the wellbeing of the elderly individual.